My AP Physics 2 classes are part of a district-wide Digital Learning Initiative. 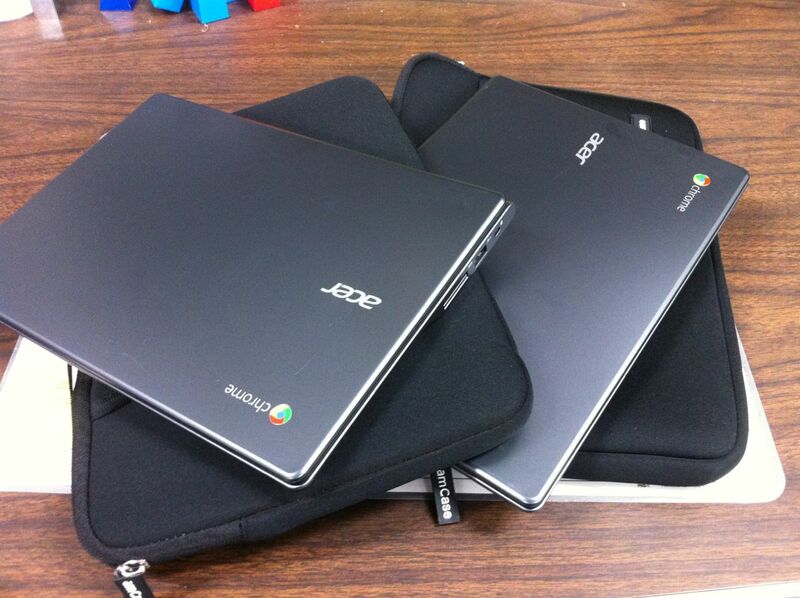 My two sections are testing Chromebooks and the Google ecosystem. @anna_kraftson, our Technology Integration Specialist, led the deployment and walked the students through broader topics like their digital footprint and net-etiquitte. We then walked students through connecting their Google Drive with Canvas and forwarding their existing Office365 student e-mail to their new Gmail. We ran into a couple of surprises, but managed to work around them and get every student to where we wanted them to be by the end of class. Two students were absent on a field trip. Their Chromebooks are waiting for them.